To begin with, I’m not going to get hung up on how they name this system, because really, I care more about what it can do. At some point, I might or might not talk about JDRF’s decision to label this an artificial pancreas. But that’s another discussion for another day. All of this is true. They’ve been working on it for a while, using many resources, conducting many clinical trials. And true, it’s not quite yet a fully automated closed loop system (which would be many people’s definition of an artificial pancreas). 2. It’s not fully automated? What’s not automated? The system has algorithms to help determine your insulin needs. If the system suggests a correction bolus, you have to accept that before it will deliver the insulin. When you eat, you still need to enter information through the bolus wizard and accept the results. A fully closed loop system would do all this for you, though most of the systems being worked on today will still require some sort of user entry to determine a mealtime bolus. By most measures, this is a marked move forward in insulin delivery systems. 3. About that algorithm… it’s a new algorithm, called SmartguardHCL, which is supposed to improve on what was used in the glucose suspend systems previously released. 4. There’s a new sensor. This is the Guardian sensor. It will work the same as the previous Medtronic CGM iterations, meaning it will insert at a 45 degree angle, the transmitter will have the seashell design we’re used to, and it will need to be taped down to be flat against your skin like the previous versions. But a new sensor should mean more accuracy, and we know users of this system will be counting on accuracy more than ever with a system that is giving you insulin dosing recommendations and the ability to commit to them. 5. The 670g is expected to ship in the Spring of 2017, which means if you’re considering this option, there will be plenty of time to anticipate and do more research. 6. If you started on the 630g recently, there is a an upgrade available. Called the Priority Pathway Program, this will allow those who ordered the 630g (current model) at any time since August 11, 2016 to upgrade to the 670g for $299.00(US). That’s a little more than upgrades have been for other products in the past… but I get it, new and exciting system, it’s not 2010 anymore, this is the price. And considering the rollout is in the Spring, letting people use their current system for six months will hopefully help the nearly three hundred dollar upgrade price go down a little smoother. Or not. Everyone is different, and I get that too. Look, I’ve been critical of Medtronic in the previous months, and there’s nothing that has changed with regard to the United Health Care issue or other concerns that many people may have. With regard to the 670g, as I said on Twitter, I suspect this news will go down the way a lot of big news goes down. Some will love it, some will hate it, some will be wait and see. That’s okay. No one product will be perfect for every person living with diabetes. But let’s look at this one development on its own merit, okay? Kudos to Medtronic for working to bring this to the approval stage, and for getting it approved by FDA so quickly. We now have what may be considered the final link in the chain that began with separate pumps, separate CGMs and no way for them to communicate with one another; and will end with a fully automated system that does all of its own thinking for the person with diabetes. We all know and understand that the cost of diabetes is getting cray-cray. Our Wednesday #DSMA Twitter Chat on September 21 got pretty deep into this discussion, and it wasn’t everything that was on the agenda to discuss that night, but it quickly became the single subject of the chat. Sometimes, important issues just take precedence. Our frustrations lie in a lot of places: drug companies, device makers, insurance companies, “pharmacy benefit managers” (I think I will always have quotes around that term—they don’t deserve to be taken seriously), and even our government, who, as I’ve heard so many times, seems to be just “checking our box”, but not really doing as much as they can to help us. So there’s a lot of blame to go around. What are the solutions? – Enough people willing to demand what we want. Hint: it’s a hell of a lot more than we have now. – Enough people willing to keep demanding, especially when we get stonewalled. Let’s remember the next diagnosis, the next family living with diabetes. Even if we’ll never see our success, we can keep demanding so future generations won’t have to work so hard. We want them to have it better than we do. I want to always remember this. – Lots and lots of new ideas. As I mentioned in the Twitter chat, more ideas increases our chances of coming up with great new ideas. – Someone (hopefully, more than one someone) who is well connected and sympathetic to our cause. This could speed things up a lot. That’s my list so far. I realize I’m not exactly the Einstein of social activism. To be fair, there are companies providing assistance to people who need it… ALWAYS be sure to check the website for the drug or device you’re using (or interested in) to see if you might be able to qualify for a little help. Even insurance companies have resources to help deal with claims issues. Your state’s insurance commissioner can often be a great place to voice your concerns. All this can be hard sometimes (PWDs have enough to deal with already), but at least it’s something. That said, it’s fairly clear that 1) We have major issues regarding diabetes affordability and access; and 2) Governments/Companies/Insurance/”PBMs” will need to be forced into action to help solve pricing and procurement problems. That will only happen when it becomes clear that this is a public health and safety issue for everyone living with diabetes and not living with diabetes, and it will only cease to be so when we get what we demand. Feel free to fill in the blanks. Hat tip to Meri at Our Diabetic Life for her inspiring posts last week. 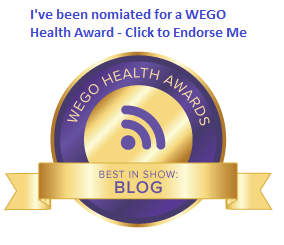 And hat tip to Renza at Diabetogenic for her post too. I’ve spent a lot of time at home this week, hanging out with the dog and the cat, and another dog that has been here for an extended sleepover. 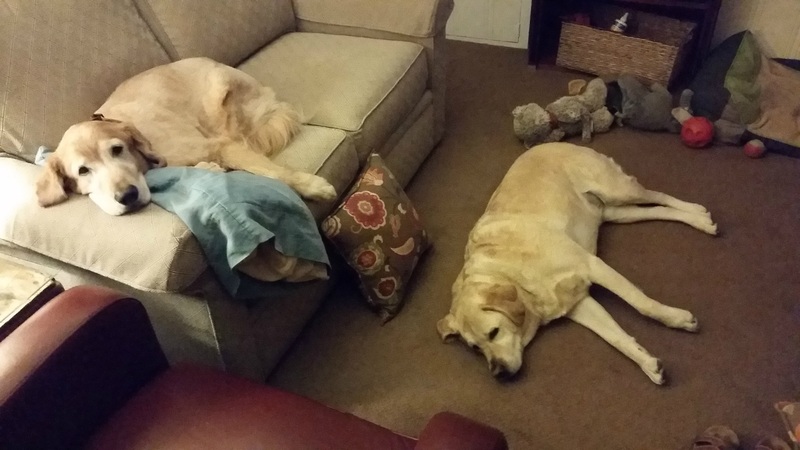 The dogs, especially, seem to have a certain calmness about them (most of the time, anyway). They don’t seem to be burdened by many of the things I am concerned with. Dogs don’t seem to worry about too much. They sleep when they sleep, they eat when they eat. They’re happy if you’re watching CNBC, or Drunk History, or the ballgame on TV. Their pursuits include fully stretching out on the floor, chasing after balls in the yard, and playing tug of war over a toy. If you’ve had a difficult day, they seem to empathize, but they’re also happy waiting nearby in case you need them. The dogs that have been my companions this week don’t live with diabetes and all of the crap I live with as a Person With Diabetes. They don’t have to check their blood sugar 7 or 8 or 10 or 12 times every day. They don’t have to guess how many grams of carbohydrates are hiding in my noonday meal, or how many units (or partial units) of insulin are required to counteract the carbs entering my system, and they don’t have to remember to bolus before they eat those carbs. These dogs get excited about dinner, and walks in the park, and the occasional mailman or jogger that goes by. But the rest of the time, they’re good just hanging out. They don’t have to live with the frustration of high glucose readings and doing the detective work to find out why the readings are high. They drink water when they’re thirsty. They’re not forced to drink water to help get their blood sugar to come down. They’re not into why my insulin is so freaking expensive. They don’t have to fight with insurance companies to get them to cover devices like continuous glucose monitors and insulin pumps and enough test strips to be able to live the best life I can while standing in for my own pancreas. Dogs are okay being lifesavers alerting us to highs or lows. Dogs are okay with just being part of the pack, and enjoying the occasional bacon flavored treat. Life isn’t much more complicated than that, because it doesn’t have to be more complicated than that. I want that. I want a dog’s life. The Diabetes UnConference Atlantic City. Another Diabetes UnConference is in the books. This one was the first UnConference on the east coast of the USA. It will not be the last (more on that in a minute). Resorts Hotel and Casino was very kind for our few days along the New Jersey coast, and other than scorching late summer temperatures, the weather was great. Beautiful sunrises and sunsets. What made the weekend really wonderful was the same thing that makes every UnConference special: the people. There is something refreshing and honestly, for me anyway, necessary about getting together face-to-face with others who live with diabetes every day, discussing the things that are important and frustrating and funny and scary and sweet (no pun intended) about something that we understand better than anyone else: our own diabetes. Each Person With Diabetes in attendance knows their life with diabetes better than anyone, and each attendee was able to convey their feelings and expertise on a variety of psychosocial aspects of living with this condition in a unique and respectful way. The format, along with our social media blackout during sessions, made for a safe place where everyone felt Welcomed, Valued, Respected, and Heard. Each Person who Loves Us (PLU— it’s a thing) in attendance was able to share, also in a comfortable, respectful, safe space, how it feels to share a life with a PWD. As a facilitator in many of the sessions, I was once again humbled by the openness of people who have lived with diabetes for decades, and people who have lived with diabetes for just a few years. Many from the USA, and some from other countries, all seeking to understand themselves, each other, their jobs, their lives at home, and so much more. In the process, friendships were made, existing bonds were made stronger, and in one case, actual physical assistance made all the difference in a difficult moment. When the moment was over, it meant so much to be able to spend time with people who understand… people who get me. Priceless. The next Diabetes UnConference will be at the Westin Las Vegas February 10, 11, and 12 next year. And I’m happy to report that The Diabetes UnConference will be coming back to the east coast in October of 2017. It will be in the Washington, DC suburb of Alexandria, Virginia. Details to come at a later date. If you’re looking for a little assistance to get to Vegas, the scholarship window is now open. There is nothing like finding a safe, comfortable place to discuss the things that are most important to you. Especially when you live with diabetes, or you’re close to someone living with diabetes. Our pancreases don’t function properly. Our hearts are beautiful.